The accused and the accuser. 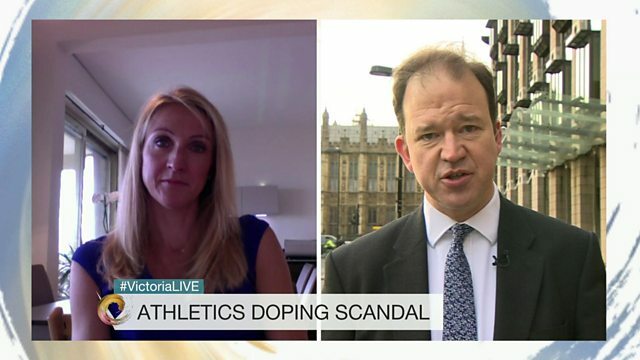 The chair of a group of MPs investigating allegations of doping tells British marathon runner Paula Radcliffe he's "sorry" if his actions led to her name being linked to doping. The women's world record holder felt she had been indirectly named by Jesse Norman last year in a parliamentary hearing. The two of them spoke publicly together for the first time on the Victoria Derbyshire programme.